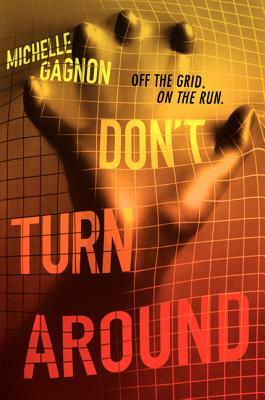 In Michelle Gagnon’s debut YA thriller, Don’t Turn Around, computer hacker Noa Torson is as smart, tough, and complex as The Girl with the Dragon Tattoo’s Lisbeth Salander. The first in a trilogy, Don’t Turn Around’s intricate plot and heart-pounding action will leave readers desperate for book two. Sixteen-year-old Noa has been a victim of the system ever since her parents died. Now living off the grid and trusting no one, she uses her hacking skills to stay anonymous and alone. But when she wakes up on a table in a warehouse with an IV in her arm and no memory of how she got there, Noa starts to wish she had someone on her side. Enter Peter Gregory. A rich kid and the leader of a hacker alliance, Peter needs people with Noa’s talents on his team. Especially after a shady corporation threatens his life in no uncertain terms. But what Noa and Peter don’t realize is that Noa holds the key to a terrible secret, and there are those who’d stop at nothing to silence her for good. Michelle Gagnon has been a modern dancer, a dog walker, a bartender, a freelance journalist, a personal trainer, and a model. Her bestselling thrillers for adults have been published in numerous countries and include The Tunnels, Boneyard, The Gatekeeper, and Kidnap & Ransom. Don't Turn Around, Don't Look Now, and Don't Let Go are her first three novels for young adults.